1) Tri-County Envirothon - A friendly, non-sanctioned, practice competition with high school teams within Licking, Muskingum, and Perry Counties. Schools can bring as many teams as they wish. The 2017 Tri-County Envirothon will be held on Tuesday, April 8, 2017 at (location to be determined). 2) Area 3 Envirothon - Two teams from each school may compete in the Area 3 competition. The top four teams qualify to represent Area 3 at the State Envirothon in June. The 2017 Area 3 competition will be Tuesday, April 25, 2017 at (to be determined in Jefferson County). Click here for more information about Area 3 Envirothon. 3) State Envirothon - Five Area Envirothons are conducted around Ohio each spring. The top four teams from each of the Area competitions progress to the Ohio Envirothon in June. The Ohio Envirothon is a 3-day event, incorporating a team presentation requirement that further challenges all participating students. The state level Ohio Envirothon is held in a different part of Ohio each year. The 2017 Ohio Envirothon will be Sunday, June 11 to Tuesday, June 13 at Ohio Christian University, Circleville, Ohio. Click here for more information about Ohio Envirothon. 4) North American Envirothon - The top-scoring team in the Ohio Envirothon is eligible to compete in the North American Envirothon, hosted by a different state or Canadian province every year. The next North American Envirothon will take place in Emmitsburg, Maryland, July, 2017. Click here for more information about North American Envirothon. 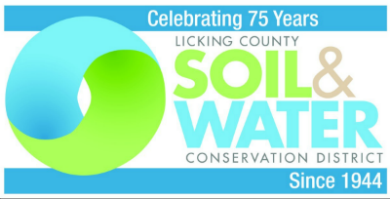 The 2017 Current Environmental Issue is Agricultural Soil and Water Conservation Stewardship. Middle School Envirothon prepares student for the High School level competition while learning more about the environment and Earth's natural resources. The Middle School Envirothon is held in conjunction with the Tri-County Envirothon. Study resources for Envirothon can be found at https://www.envirothon.org/.